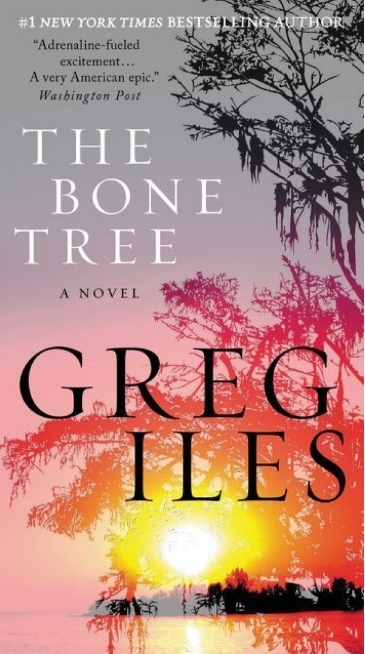 “The Bone Tree” by Greg Iles – How Does Your Murder Garden Grow? Despite the fact that the country has been in existence for a rather short amount of time, the United States of America already has quite a rich history to it, one unfortunately filled with many tales of violence and oppression. Racial strife is something that has always been present in some parts of the country, and though some may not be aware of it, a whole lot of blood was spilled in the Deep South when the people resisted “integration”. There was also the assassination of John F. Kennedy, an event that made headlines around the entire world and gave conspiracy theorists decades upon decades of work to keep themselves busy. It seems to me that every author has his or her own reason for tackling certain subjects, and whatever Greg Iles' may be, I hope he never loses them as they are driving him to put out some powerful literature, and I'm talking about The Bone Tree, a Penn Cage novel and the fifth in the series. 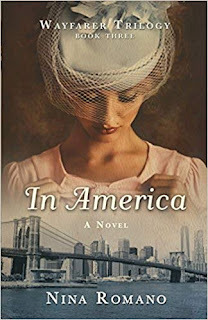 While it would definitely give you some more background information, reading the novels in order isn't necessary at all; they all stand on their own and can be fully enjoyed without any other knowledge. One of the many questions we are going to keep asking ourselves as we go through our lives is: what's actually important? We are surrounded by so many people and material possessions that we often lose track of what it is that truly defines our existence and makes it worthwhile. 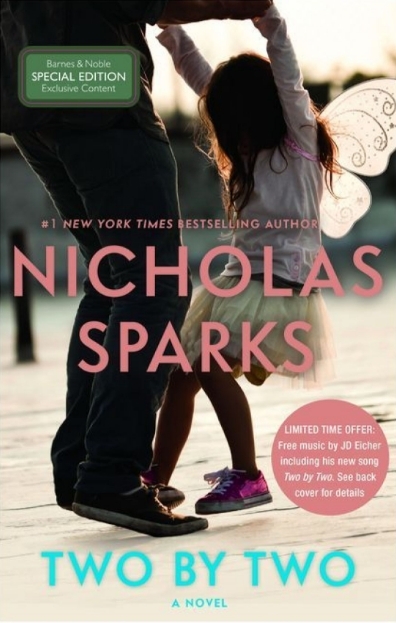 Unfortunately, some people go through a personal hell of loss to find the truly meaningful elements of their lives, as does Russell Green in Two by Two by Nicholas Sparks. We are introduced to Russel from the beginning, a successful man in his early thirties with his recently-pregnant wife, Vivian. As the latter quits her job to becomes a stay-at-home mother, the former also does the same, but to start his own business. Eventually Vivian goes back on the job, and the two start to slowly drift apart, as so many people tend to do. With his wife working, Russell took it upon himself to take care of their daughter, London, giving her all the attention and affection he possibly could. Then finally comes the day when the inevitable happens: the marriage between Russell and Vivian comes to an end. It only takes a few months for things to fall apart even more as Russell finds himself in the precarious situation of having no job and caring for his daughter all on his own. And so begins Russell's horrifying and yet hopeful voyage through the world of single parenting and uncertainty, one that will ultimately show him what it is that is truly important to him in life. The alien invasion trope is perhaps one of the most often portrayed invasion scenarios in popular culture, and it's quite possible that it won't get stale anytime soon; as long as we haven't encountered anyone out there in the great beyond, the possibilities remain limitless. 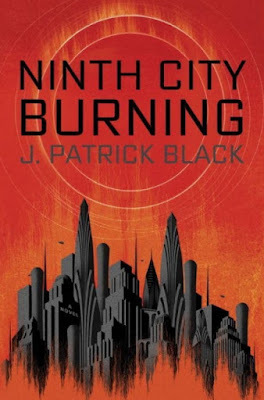 With so many books revolving around the topic, it really does take something special for an author to get themselves noticed, but debuting writer J. Patrick Black has certainly done that with his first novel, Ninth City Burning. Paris has been known for a long time as one of the cultural capitals of the world, the place where love, art and wine thrive until the end of time. In recent years though, reality has caught up with the idealistic image as it always tends to do, with numerous heavy public crimes putting the city's people on edge. Tensions are running high, and there is no telling how far things will go before it all comes to an end. 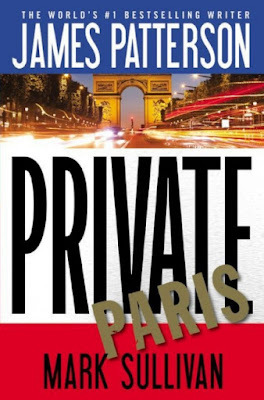 In Private Paris by James Patterson and Mark Sullivan, we are introduced to this city in a very dark hour as Private Jack Morgan's talents are needed. While life certainly likes to throw a few curve-balls at everyone at some point, it's undeniable that most of us have what we need not only to survive, but to actually enjoy life itself. As you well know, there is always the other side of the coin, the people whose survival on this planet has been challenged from the moment they set foot in it. 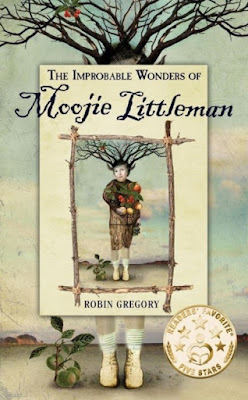 Whether they end well or badly, there is something special about such people who defy all odds until the very end, as is the case of the titular Moojie in The Improbable Wonders of Moojie Littleman by Robin Gregory. With the first strike against him being his name, Moojie was already in for a rough start. He was also born with physical disabilities, takes a while to start talking, and when he does another problem piles on to the list: stuttering. He lost his mother, and keeping in line with Moojie's luck, his father refused to take him in. And so he's sent off to St. Isidore's Fainting Goat Dairy, run by his terribly-tempered grandfather whose favourite past-times seem to be drinking, cursing, threatening to send Moojie back to the orphanage, and hating on the so-called hostiles in the surrounding forest. As Moojie discovers though, these hostiles are actually a magical race who hopes to show the world what harmony is. He deeply hopes to be accepted in their world, but trust doesn't come easy, not for the broken nor for the otherworldly. Whether you exclusively believe in the tangible and observable or allow for the existence of anything that cannot be disproved, there is a skeptic hiding within you, no matter if he's big or small... and that's perfectly normal. Skepticism is actually a handy survival tool in a world where there are more than enough shady characters trying to lie and deceive you. Of course, like most things in life, it's only beneficial when practiced with a certain moderation, and in The Last Days of Jack Sparks by Jason Arnopp, we get to witness what happens when it's taken to the greatest extreme possible. 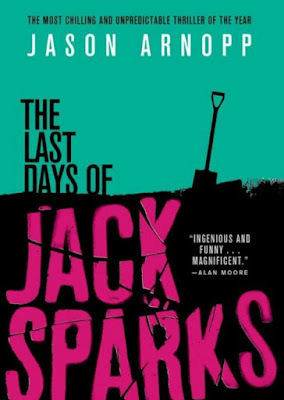 The titular Jack Sparks is a writer who has tackled a large number of topics, including gangs, drugs, himself, and even jumping on a pogo stick. He is a popular reporter and has many followers yearning for his next article across all social media platforms. To put it mildly, he's worldwide sensation and is letting it go to his head. He is extremely self-centered and immeasurably confident in his knowledge of literally everything. As his next challenge, he sets to prove that everything supernatural is a hoax, all while being the biggest jerk possible. And so he begins with an exorcism of a 13 year-old girl in Rome, on Halloween night, an event which he mocks through and through, generating all that precious social media controversy he's yearning for. Unbeknownst to him though, there is more to the world than he imagines, and mocking the devil himself bears with it some rather grave consequences. This book may be classified in the horror genre, but if you're looking for a scares, blood and guts galore, then I'm sorry to say that you'll probably be a tad disappointed with what you'll find in here. The horror elements are certainly present throughout the whole story, but there is a heck of a lot of humour to be found here as well. Whether it's in the way Sparks perceives and describes the world or tries to brush off with increasing desperation the supernatural phenomenon around him, there's always something to keep a smile on your face. 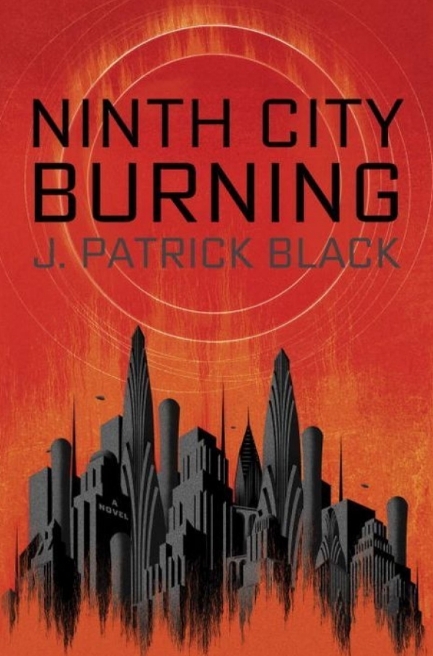 In the last quarter of the book, things do begin to escalate and intensify, with the comedy slowly fading away and taking a back-seat to an atmospheric kind of horror, one that inspires dread and discomfort rather than going for shock value.